Ski-in Ski-out! A tremendous opportunity to own a slope-side condo at Hunter Mountain. The closest you can get to the slopes from Hunter Highlands - ski-in ski-out! 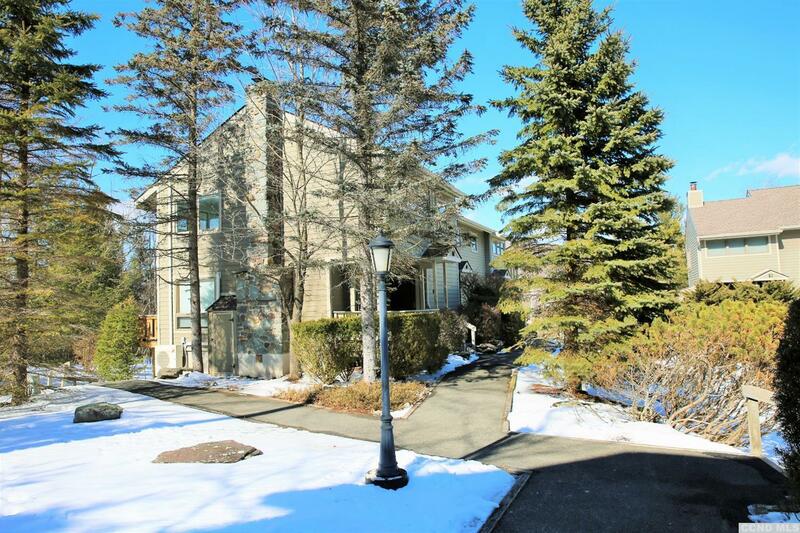 Enjoy the convenience of having the slopes just a few steps from your door! Hunter Highlands D-2 at Hunter Mountain is a fully furnished 1-bedroom/1-bathroom end unit with a spacious master bedroom. New Association improvements include new swales to intercept water runoff, paved parking lots and hardie board siding. Desirable four-season vacation destination - perfect income property with strong rental history and positive cash flow. Enjoy the convenience of trailside living! Move-in ready! Must see!